Now is time to take the first step in doing something incredible and become a qualified British Sign Language (BSL) teacher. If you are already a qualified teacher, you have the necessary skills and qualities that we require from our teachers. Teaching BSL is a great way to boost your employability and teach a language that really does make a difference to so many people’s lives. Whether or not you choose to solely become a BSL teacher, or if you want to combine this with more mainstream teaching, the demand for sign language in the UK continues to grow, so the possibilities are endless. With opportunities to bring BSL into mainstream education, the requirements for skilled teachers could very well be set to rise. With 1 in 6 people now suffering some form of hearing loss in the UK and with up to 250,000 people using BSL in some form to communicate on a daily basis, now is the time to learn, teach and excel. BSL is a truly rewarding language; the ability and desire to teach is something that many people wish to have, it’s up to you whether you want to teach something that really matters. We are a registered charity and awarding body, with over 36 years experience promoting access for deaf and deafblind people. 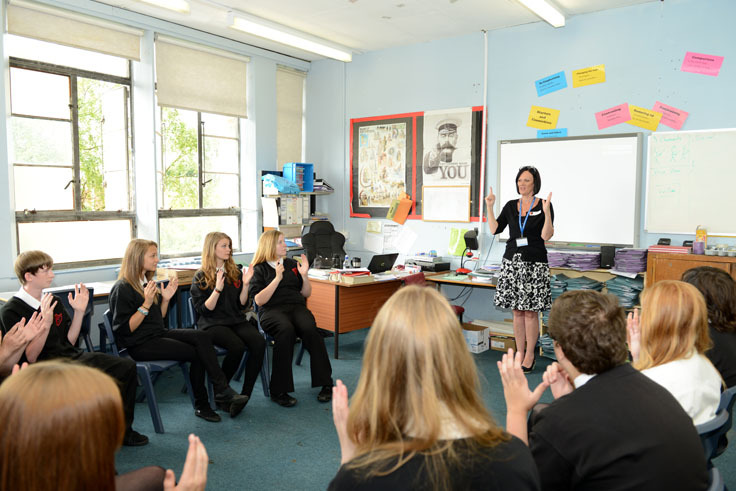 We specialise in subjects such as British Sign Language and Deaf Awareness. We have helped over 420,000 people to learn BSL and communicate better because of our Qualifications. Our teachers, consultants and staff are highly skilled; we can make sure that our students are gaining the strongest qualifications available and gaining the relevant skills needed to excel within the career path they choose to take. With around Signature 350 centres spread around the country, you would have a high chance of gaining employment or you could even set up your own! Once you have decided to take this next step in furthering your career, you need to think about how you are going to get there. As you already have a teaching qualification, we recommend you study British Sign Language up to at least Level 3 , in order to have the relevant skills and competency to then be able to successfully teach your students, (Visit the Department for Education website for more details). However, if you wish to progress further, then that’s great. If you would like to progress all the way to Level 6, you will have the ability to teach all of Signature’s British Sign Language courses, in addition to other career options such as an interpreter, a translator or a Communication Support Worker (CSW). How can training fit around me? We fully understand that the prospect of returning to education could be somewhat daunting; however learning BSL is completely different, as it can fit around your current lifestyle and work commitments. Whether you’re already teaching at the moment, or if you’re working within another industry, learning BSL is flexible due to the ability to learn in short weekly sessions that can fit around you. Many of our centres offer a flexible timetable, so day, evening and weekend sessions are all possible. Alternatively, if you wish to gain your BSL qualifications as quickly as possible, you can state your individual requirements to your centre and agree on the best option for you. This is your chance to begin an unforgettable journey of self exploration and learning; the ability to further your teaching skills and do something meaningful is very much in the palm of your hands. Join us!